Bishop Raphael Fliss on Monday revealed he had removed Edward Beutner from the priesthood in 2002 after accusations of sexual abuse emerged. That response, however, falls short of what is expected by victims, their representatives said Monday, leaving them to continually suffer from their injuries and fear additional people might be victimized. 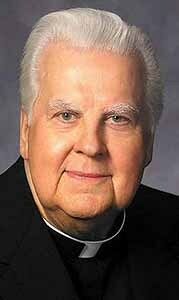 Buetner, a former priest, had served at St. Ann's parishes in Somerst and at St. Bridget's in River Falls from 1973-74 and during 2002 at the St. Thomas More Newman Center on the campus of the University of River Falls. Raphael Fliss, bishop of the Catholic Diocese of Superior. * Bishop Fliss received at least four separate reports that Beutner molested children. * Those complaints were not reported to police. * The bishop did not warn the public about the reports. In his written response, Bishop Fliss said "Immediately after his removal in April 2002, Edward Beutner, who denied all of the allegations, contacted two attorneys who vigorously fought for his reinstatement as a functioning priest with the Diocese of Superior. Bishop Fliss refused to reinstate Edward Beutner while an investigation was conducted." During that investigation, a member of the Diocesan Review Board told Bishop Fliss that other incidents of sexual abuse also had been reported. "In 2004, the bishop had a meeting with four adults referencing incidents that took place in the 1960s. Concerns were raised that their personal information might be made public, but they requested that Edward Beutner not be allowed to return to the priesthood. Based on those allegations and concerns, Bishop Fliss refused to reinstate Edward Beutner and had him removed from the priesthood," said the bishop's prepared statement. His reaction fails to meet requirements of a 2002 bishop's charter for the protection of children, said Bob Schwiderski of Wazata, Minn., Minnesota director of SNAP, the Survivors Network of those Abuse by Priests. "Bishop Fliss has not been open and transparent as called for," he said. For example, four people reported abuse to Bishop Fliss within the past year, said Jeff Anderson, plaintiff's attorney in the lawsuit. Fliss should have done notify the community and law enforcement." Schwiderski said the bishop should have visited all parishes to which Beutner had been assigned and asked abuse victims to come forward if they needed help. He "should have reached out to those who were damaged by this man," Schwiderski said. Bishop Fliss erred in not sharing his reports with law enforcement officials, even though charges could not be lodged on the older allegations, Schwiderski added. The information might serve as "missing links" to other crimes for which charges still could be filed, he said. The Superior Daily Telegram received an e-mail Monday from another individual who contends he was abused by Beutner while serving as an altar boy. He told Bishop Fliss and Superior police of the abuse but receive no response from either, wrote the man, who now receives psychological counseling. "You can't imagine what goes through a victim's mind in deciding to bring this forward, and you can't imagine how damaging it is when there's no response. There's too many times that the system has failed," Schwiderski said. A representative for Bishop Fliss said media reports about his handling of the matter have been inaccurate. Because of the pending litigation, the bishop can't answer questions directly, she said, but he will review several Telegram questions for a possible future response. Ron Brochu is the editor of the Superior Daily Telegram which is owned by Forum Communications Company, the parent company of the RiverTown Newspaper Group.